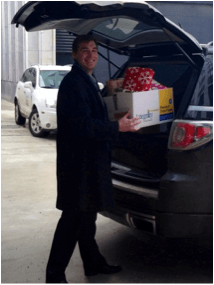 Members of the Legacy staff played Santa today for a family in Grand Rapids. 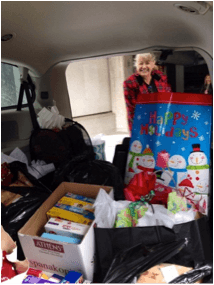 Brian Balke, Randii, Melanie, Sandy, Hilary and Laura loaded up two SUV’s with presents and food to deliver just in time to celebrate Christmas. 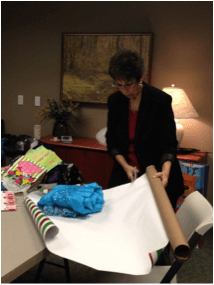 The entire Legacy staff spent the last two weeks braving the elements shopping and wrapping each gift. Money was collected over the entire year in our “Jeans for Charity” fund. Each pay day, staff members contribute $5 to the fund and are able to wear jeans for the day. 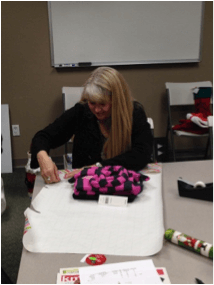 The money collected this year provided a Christmas for a family of six.